It is at this line that any new date begins. Despite its importance, the scriptural definition for the International Dateline is the most obscure and least understood, rarely even coming up in the calendar conversation. It has puzzled men ever since they began to sail around the globe. The evidence will show that the Scriptural International Dateline is drawn along the line of sunset as it extends across the globe on the day of the vernal equinox at the very moment that the line of sunrise is determined from the city of Jerusalem. The International Dateline separates two consecutive calendar dates. It is a fixed line, the Antimeridian, drawn north to south on the surface of the earth opposite the Prime Meridian and represents the place where the date changes when one travels across it, either east or west. Under our present system, when the moment of midnight reaches this line of demarcation, the date would technically be the same for our entire planet. Mostly, the International Date Line and the moving point of midnight separate the two calendar days that are current somewhere on Earth. However, during a two-hour period between 10:00 and 11:59 Coordinated Universal Time (UTC) each day, three different calendar days are in use. This is because of daylight saving in the UTC+12 zone and the use of additional date-shifted time zones in areas east of the 180th meridian. These additional time zones prevent the earth from observing a single date for the instant when midnight crosses the International Dateline. It also results in the standard time and date in some communities being 24 or 25 hours different from the standard time and date in others. As the time of midnight moves west, the new date follows with it. Today, the Prime Meridian—line of longitude which is defined as 0°—is arbitrarily made to pass through the Royal Observatory at Greenwich, England, the place where the present system was established in 1884. This International Dateline is drawn 180° east and west from the Prime Meridian, although for varying political reasons at certain places it was arbitrarily altered, sometimes zigging or zagging to the east or west around groups of islands. This line has been redrawn several times allowing, for example, Samoa in 1892 to change which side it set in relation to the dateline, and in 1995 the central Pacific Republic of Kiribati chose to do the same, moving the dateline eastwards in order that it would go around that country. On the other hand, in Scriptures the day moving across the globe is not marked by some imaginary and arbitrary line. Rather, it follows the line of sunset, which runs vertically across the face of the earth. Neither does this curved line follow the present-day designations of longitudes, due to the fact that the axis of the earth is tilted 23.5°. Only on the day of the equinox will this sunset line come very close to being parallel. Another important instruction comes with the statement that, “the Torah will go forth from Zion, and Yahweh’s word from Jerusalem” (Isa. 2:3; Micah 4:2). Zion is also the place where Yahweh’s judgments emanate (Ps. 48:11, 97:8). In addition, Yahweh’s throne will be on Mount Zion and his eternal habitation will be in his sacred city of Jerusalem (Ps. 2:6; Isa. 12:6; Jer. 8:19). It is here that Yahweh will also sit upon his throne as the most high priest (Zech. 6:13; Heb. 3:1). It is clear from this information that the authority for calculating the moadim, days, weeks, months, and years flows from Zion, the home of the king and most high priest. Scriptures, likewise, would take into consideration the “part of” rule (see page 6, Rules for the New Moon). For instance, this rule would not accept a line passing through any landmass—which always implies the possibility of permanent habitations—where one side of a village would permanently represent one day while the other side still another. The consequence for those either observing or avoiding the Sabbath and festival days would not be inconsequential. This detail suggests that this dateline must be calculated over the ocean, where no permanent habitation can be sustained, a detail which the Ranger shall verify as we continue. If, however, the line should cross a landmass, the “part of” rule would dictate that the smaller land area would be subjoined to the greater and participate with it in the same date. Neither would Scriptures recognize a daily calculation of a new date by sunset crossing the dateline above the Arctic circle nor below the Antarctic circle where one daytime or nighttime can last for months and, thus, fall outside of the daily 24-hour sunrise and sunset cycle for the full 365 days of the year. In the polar regions (which we dub the Arctic and Antarctic zones), all lines of longitude, and hence all time zones, converge. Since sunset cannot always be observed per each spin of the earth, a date change here, as well as the hours of a day, must be determined by calculation not observation. Why is an International Dateline Required? The earth, as viewed southward from the north pole, rotates in a counterclockwise direction in relationship to the sun. Due to this astronomical fact, if one travels eastward with the direction of the earth’s rotation, he will gain clock time in relationship to the place from where he started. Conversely, if he travels in the opposite direction, he will lose clock time. In addition, the day, which for Scriptures begins at sunset, is constantly moving around the earth. In order for Yahweh’s clock to work, there must be a permanent line across the globe at which the legal date of the week begins and ends. Otherwise, how would one know which day of the week it is? We know when it becomes the Sabbath day in Jerusalem but how does one know when to observe it if he lives in Hawaii, Australia or French Polynesia? 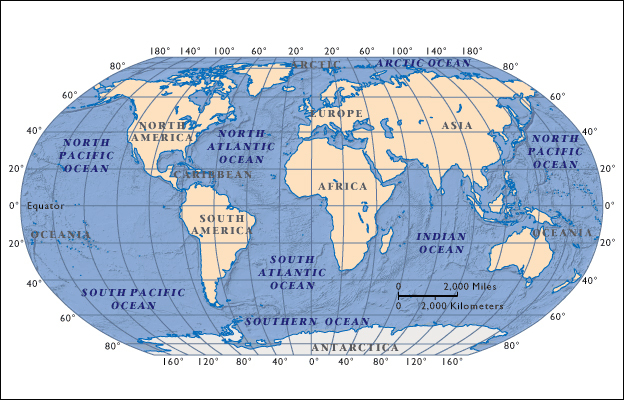 An International Dateline, therefore, serves as a point on the earth where the legal date is marked out. Yet, if one travels around the globe east of the International Dateline he will lose a day and if he circles to the west he will gain a day. This problem became manifest when early mariners sailed around the world. The first recorded mentionings of this astronomical fact and the accompanying concept of an International Dateline, at least writings about which we are presently aware, are found in the 12th century C.E., long before 1492 C.E. and the voyage of Christopher Columbus. In 1140 C.E. the Spanish-Jewish philosopher and poet Rabbi Yehuda ben Shemuel Ha-Levi discussed the Jewish Law regarding the beginning of the Sabbath. Yehuda argued in his treatise that, although the day began at sunset in Israel, all the regions east of Israel up to the eastern shores of the Asian Continent, despite their differences in longitude, shared the same day and time reckoning. Shortly thereafter, Zerachiah ben Isaac Ha-Levi addressed the question. In his Talmudic commentary Baal Ha-Maor (1180’s), he placed the International Dateline six hours ahead of Jerusalem, i.e., 90° east of Jerusalem, delineating a line that, among other places, runs through the middle of the Philippines. Later came the work of Abulfeda entitled Taqwim al-Buldan (A Sketch of the Countries), written in 1321 C.E. He described how, depending upon which direction one was traveling, you would either gain or lose a day when circumnavigating the world. The French scholar Nicole Oresme (c.1325–1382 C.E.) on several different occasions also mentions this paradox. Next, we have the Italian chronicler Antonio Pigafetta, who travelled with the Portuguese explorer Ferdinand Magellan on his voyage to circumnavigate the world. Antonio notes that he diligently wrote down the events of each day without any intermission. As the result, when the survivors of the voyage returned to Spain, for them it was Wednesday, July 9th, 1522. Yet, when these men inquired about what day it was, the people responded that for them it was “Thursday,” which surprised the crew, “for to us it was Wednesday,” adding that they had gained 24 hours on their return. This story was supported by others as well. The crew of the English explorer Francis Drake had the same experience after they made their westward voyage around the world. When they returned home to Plymouth on September 26th, 1580 C.E., they found that for those who remained behind it was Monday, but for them it was Sunday. So also were the findings of the Venetian trader Francesco Carletti (1574–1636 C.E.) and the Dutchman Isaac le Maire when they circumnavigated the world in a westward direction. It is manifest, therefore, that there is a requirement for an International Dateline. The question becomes, “Where in Scriptures is the International Dateline drawn?” To begin to answer this question, we must first recognize that Scriptures and, indeed, most of the educated ancient world, knew that the earth was round. If the earth was flat the inquiry regarding the International Dateline could be quickly answered, “At the edge of the earth.” Yet, Scriptures reveal that the earth was round. One can stand on the shore of any great ocean and observe in any direction the curvature of the earth’s surface, not only horizontally but by the fact that when ships sail off in a direction opposite to the viewer the bottoms of the vessels will disappear first and lastly the tops. Since the term “חוג (khug; circle, compass, arch circle)” is used in this verse, it indicates a spherical earth. In this sense, as the Hebrew-English Lexicon shows, khug means “sphere, globe.” Obviously, one does not sit on the round edge of a flat, disc-shaped surface. Rather, he sits on the circle of a globe from above the surface. Job adds to this understanding when he points out that Yahweh “stretched out the north upon the wasteland, hanging the earth upon nothing” (Job 26:7). The northern wasteland is a reference to the northern polar region, the place where the earth turns on its axis, i.e., hangs. Yet, no rope, pillar, or other device can be found holding it up (an acknowledgement of the concept of gravity). The point at which an object hangs is also its top. The immense height of the heavens reveals depth, not flatness. Therefore, the circle being described is vault-shaped, which is how many now translate the term in this verse. Applying this definition to the above statement about Yahweh, who “sits upon the khug (vault) of the earth,” we can readily see that Scriptures are speaking of a spherical earth. Therefore, the earth could not be understood in Scriptures as a flat disc since the north is the top, the ocean is also a circle, Yahweh sits on the circle of the earth, and the heavens are vault-shaped as seen from the earth. In addition, the expressions used in Scriptures referring to “the rising of the sun” and “its going in” also indicate the optical impression, as seen from the surface of the earth, of an orbit of the sun which further implies a round earth (for example, Ps. 50:1, 113:3; Zech. 8:7). We’re not finished yet by a long shot everyone as we still got two more parts to go. To continue reading just click on Part 2. This entry was posted on 06/30/2012, 10:25 pm and is filed under Calendar, New Moon, New Year, Religion, Sabbath, Scriptural Calendar, Scriptural Time, Vernal Equinox, Yahweh. You can follow any responses to this entry through RSS 2.0. You can leave a response, or trackback from your own site.